Powtech 2017 welcomes powder, bulk solids and manufacturing experts from all over the world at the Exhibition Centre Nuremberg from 26 to 28 September 2017. 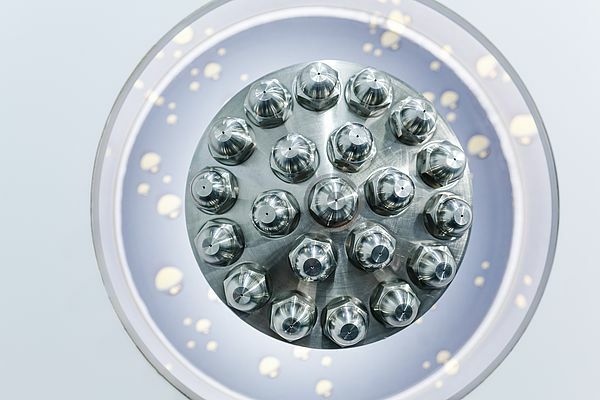 Powtech is all about dynamic processes from size-reduction and grinding to filtration and separating and mixing, agglomeration and moulding, and visitors can look forward to an extensive supporting program. In presentations, seminars, live demonstrations, guided tours and two special shows, powder and bulk solids professionals from every sector can obtain useful knowledge based on practice. At the Expert Forum in Hall 2 and the Pharma.Manufacturing. Excellence Forum in Hall 3A, international experts and end-users will report on their best practices. The "Future Generation" zone in Hall 3 focuses on the latest research findings, ground-breaking solutions and the next generation of industry talent. In addition to the around 850 exhibitors from all over the world, the new products show, the meeting place for networking and the knowledge-sharing platform also make the supporting program for the trade fair very attractive for visitors. Attending Powtech means learning from other experts and industries, providing your input and going home with a wealth of new knowledge. The first port of call for knowledge-seekers is the Powtech Expert Forum in Hall 2. The non-stop program of presentations and discussions explores issues like digital transformation for the handling and processing of bulk solids (Tuesday 26 September) and dust removal (Thursday 28 September). In Hall 3, the special "Future Generation" zone provides a perspective on the powder, bulk solid and particle technologies of the future. It's where universities and research establishments present their research results. Visitors will have the opportunity for conversations, for example with representatives of numerous university groups, developers from the Fraunhofer Institute for Ceramic Technologies and Systems, the Weimar Institute for Applied Construction Research or the renowned Wolfson Centre for Bulk Solids Handling Technology of the University of Greenwich. At the jobs forum, skilled personnel can find out about current vacancies in the bulk solids sector. The ProcessNet Café organized by DECHEMA and the VDI-GVC is also located in the "Future Generation" zone and provides a relaxed atmosphere where visitors can share news and views with experts and colleagues. 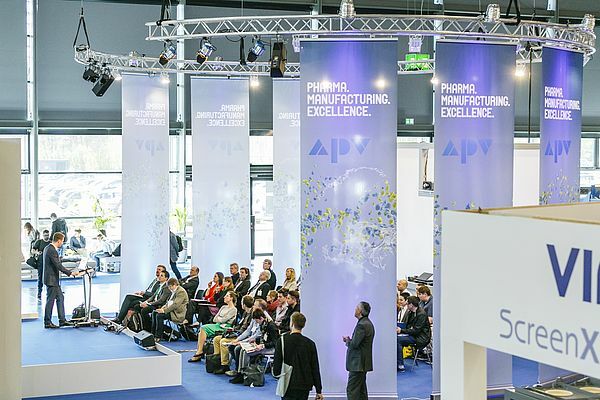 Intended specifically for producers of pharmaceuticals and related products, the Pharma.Manufacturing.Excellence Forum in Hall 3A is organized by the APV (International Association for Pharmaceutical Technology). Compact presentations and discussions focus on the latest industry trends. Right next to it, the exhibition hall is transformed into a typical pharmaceutical production facility: On a special display area of some 300 square meters, "Focus on Pharma Solids" brings together around 20 different machines and systems to demonstrate the relevant process steps from pulverizing to particle analysis. A suitable complement is provided by the scientific seminar series of high-calibre presentations on pharmaceutical solids, which will take place in the NCC Ost congress center. The keynote speakers will be Professor Peter Kleinebudde on particle analysis, Dr.-Ing. Sandra Breitung-Faes on milling and nano-milling and Professor Evangelos Tsotsas on the simulation of pharmaceutical process steps. The topics of milling and nano-milling will be presented in English on the second day of the seminar.